The Fair Play Booth closed in the Youth Olympic Village as the Nanjing 2014 Youth Olympic Games came to an end on 28 August. During the 12 competition days over 1500 young athletes visited the pavilion of CIFP and learnt about the written and unwritten rules of sportsmanship. CIFP President and Secretary General met with Dr Thomas Bach IOC President. Learn from the Best and Be the Next Fair Play Hero!Vreni Schneider friendship and fairness should previal. 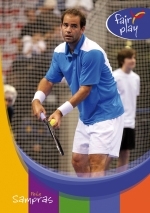 Learn from the Best and Be the Next Fair Play Hero!Pete Sampras, living legend of tennis promotes fair play throughout his career. 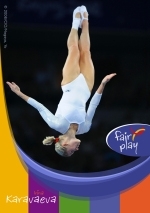 Learn from the Best and Be the Next Fair Play Hero!Irina Karavaeva shows the spirit of fairness.